Last night I dreamt that I was in a church and in the congregation was a large family with a baby. The baby was crying and the grandfather of the family was holding the baby tight to try to comfort the child. However, the child’s wailing became more intense and it started to dawn upon the congregation that the grandfather was beginning to squeeze the child too hard; in fact he was squeezing the life out of the child. In response to this the immediate family froze for they could not believe what they were seeing. For one horrible moment it seemed the baby would be squeezed to death then suddenly a tall, young man strode forward from the rear of the crowd and wrestled the baby free from the old man’s grasp. Dreams are sometimes metaphors and as I lay awake this morning I pondered the meaning of this dream. 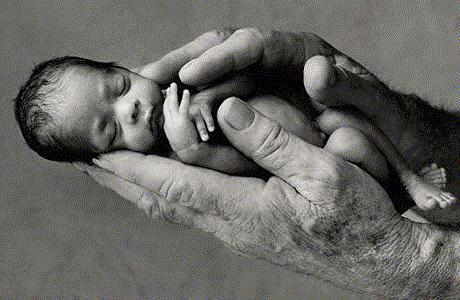 Maybe the baby represents the inner child in all of us – a fragile yet sacred part of our being? It needs protection and yet often it has been controlled and restrained by old traditions (the ‘grandfather’). These traditions started with the best interests of the child at heart but somehow these good intentions get lost over time. Sometimes we need to challenge the status quo before the situation goes too far and the inner child gets hurt. In the dream, the immediate family freeze because they cannot believe what is happening. They fall under the seductive spell of denial and simply watch the drama unfold. However, the young man at the rear of the church has a different perspective. He is more distant both physically and emotionally but he still cares because he is part of the overall system – he is one of the congregation. This relative independence frees him to step forward and intervene decisively. In the language of our book ‘Challenging Coaching’, he faces the facts and speaks his truth. what is it that is important enough for you to protect right now? what can you see that others who are closer to the situation may not? what would ‘stepping forward’ look like in your situation? what dream have you recently woken up from?